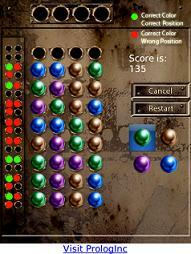 ColorCodeBreaker is a classical game to detect a random color code. Detect the code by using the analyzing and logic section of your brain. You will find it exciting if you want to use your brain for something.